I've decided my front door needs a couple of topiaries. Also wouldn't hurt if I had those charming steps and yellow door. I love that house!! It looks like the 3 Bears live there. Nice curb appeal! 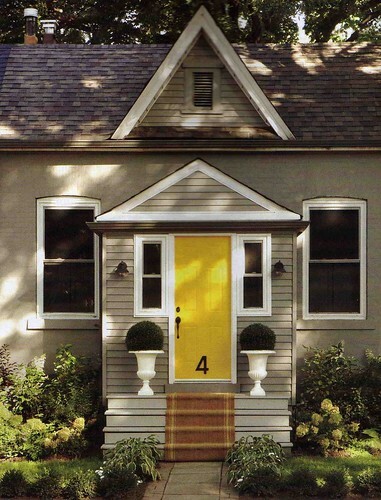 I'm diggin the yellow door! I would like to know the color?